This special selection of short stories from noted figure of Irish letters and Aosdána member, Val Mulkerns, was launched on 12 May 2016. The stories, edited chronologically, start in 1916 with a tale based on the author’s own father, imprisoned following his participation in the battle of the Four Courts. Other stories take us through hard times in Dublin of the nineteen-thirties and forties and into the changing Ireland of the sixties and seventies. The final, title story, ‘Memory and Desire’, is a quintessential eighties tale that author Colm Tóibín has described as: “one of the finest short stories that has been published in Ireland for many years”. 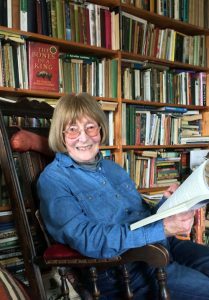 Her first novel, A Time Outworn, was released to critical acclaim in Ireland in 1952. In 1953 she married Maurice Kennedy and they have two sons and a daughter. She subsequently published four more novels, two children’s books and many essays and critical writings. She later worked as a journalist and columnist and has been a much-loved voice on RTE’s “Sunday Miscellany” programme down the years. Her most recent appearance was on the Easter Monday show, reading about her father, who earned the nickname “The Rajah of Frongoch” for his role as MC of the entertainment evenings in the notorious Welsh prison camp. A new edition of her novel, The Summerhouse, was published in 2013, and is available online and by order from any Irish book shop*. These days, with 91 years to write about, Val is finalising a memoir, Friends with the Enemy, which will be available in 2017. 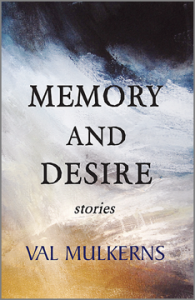 Memory and Desire brings together a selection of the author’s stories from her three collections, Antiquities, (André Deutsch, 1978), An Idle Woman, (Poolbeg Press, 1980) and A Friend of Don Juan (John Murray, 1988).